This 24" talking re-creation of the greatest Jedi ever known is almost the same size of a small child! 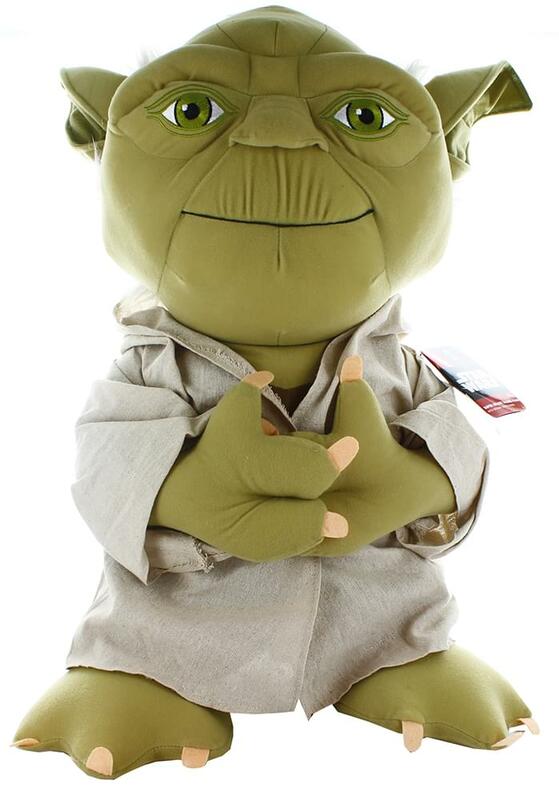 Soft and cuddly, Yoda speaks manu authentic phrases from the films, including "A Jedi uses The Force"; "You seek Yoda"; "Strong am I with the Force"; "Do or do not. There is no try". This 24" talking re-creation of the greatest Jedi ever known is almost the same size of a small child! Plush measures a towering 24-inches tall! Phrases include "A Jedi uses The Force"; "You seek Yoda"; "Strong am I with the Force"; "Do or do not. There is no try".